Josephine Clark married (?) Blackford. Nina Clark married (?) Decker. Lewis Jens Peterson married Nannie Moore Houghton, daughter of Frederick T. Houghton and Nancy Josephine Moore, in Mar 2, 1885 mar 15 years in 1900 census. 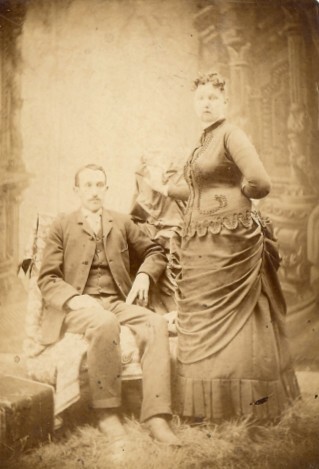 Margaret Rodriguez Amaya married Samuel Fredrick Houghton, son of Frederick T. Houghton and Nancy Josephine Moore, in Dec 4, 1889 at Alameda Co., CA, USA. Frederick Clayton Houghton married Eileen A. Selvage. Irene Marguirete Houghton married Charles Meyer at Oakland, CA, USA. Jackson Beauregard Appling married Martha Wright Houghton, daughter of Frederick T. Houghton and Nancy Josephine Moore. Death Oct 4, 1913 Eagle Rock, CA, USA, by his ex-wife Edith Houghton, who claimed he had abused her. Francis Marion Ivy married Edith Moore Houghton, daughter of Frederick T. Houghton and Nancy Josephine Moore. Francis Marion Ivy and Edith Moore Houghton were divorced in 1904. Frances Edith Ivy married Richard Christian Hunger in 1918. Adaline Mary Euretta Houghton married Edward Orville Peets in Feb 14, 1882 at Cuyahoga, OH, USA. Edgar H. Houghton married Ella Amanda Hatcher in Apr 15, 1885 mar 15 years in 1900 census. 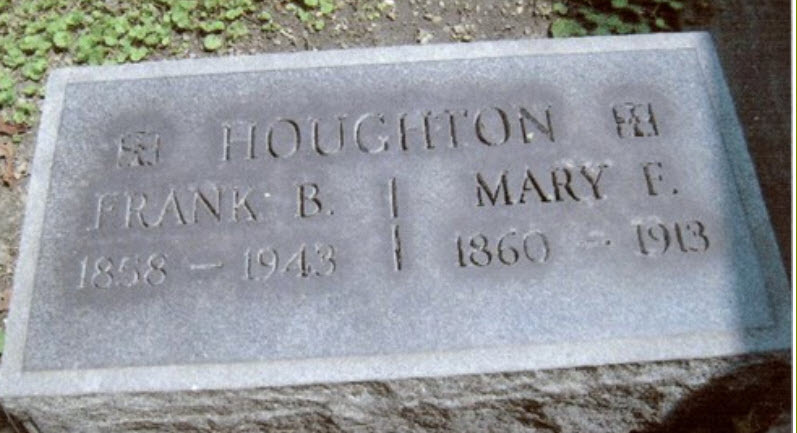 Frank Billings Houghton married Mary Roxana Furnal in May 2, 1882 at Cleveland, Cuyahoga Co., OH, USA. Frank Billings Houghton married Eva B. Brokenshire in Aug 1, 1914 at Cuyahoga Co., OH, USA. Fredrick Hunton Houghton married Ada Lockwood in Jan 31, 1894 age 24 and 23. Fredrick Hunton Houghton married Augusta Whittlesey. Edward Orville Peets married Adaline Mary Euretta Houghton, daughter of Hiram Houghton and Adaline Burpee, in Feb 14, 1882 at Cuyahoga, OH, USA. Ella Amanda Hatcher married Edgar H. Houghton, son of Hiram Houghton and Adaline Burpee, in Apr 15, 1885 mar 15 years in 1900 census. Mary Roxana Furnal married Frank Billings Houghton, son of Hiram Houghton and Adaline Burpee, in May 2, 1882 at Cleveland, Cuyahoga Co., OH, USA. Ada Lockwood married Fredrick Hunton Houghton, son of Hiram Houghton and Adaline Burpee, in Jan 31, 1894 age 24 and 23. Lydia Luther married Edward Clark. 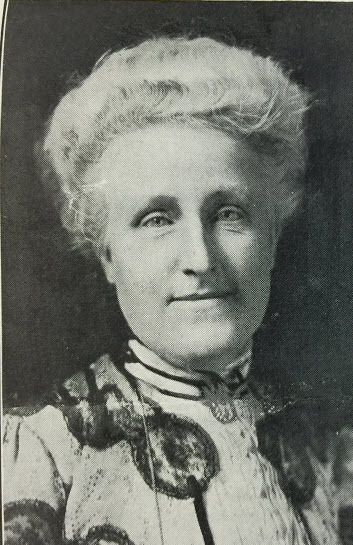 Harriet Louise Skelton married Thomas Spencer Spalding Curdy. Mary Jane Skelton married Daniel Leland Eddy. Trevis W. Skelton married Ida Alward Plant. Durance Joseph Skelton married Alice O'Lena Beattie in Dec 21, 1884. Robert Daniel Skelton married Lois Fletcher.